What is a Wisconsin Living Will? Wisconsin Living Will: What Is It? A Wisconsin living will is often referred to as a declaration; A Wisconsin living will has two purposes. 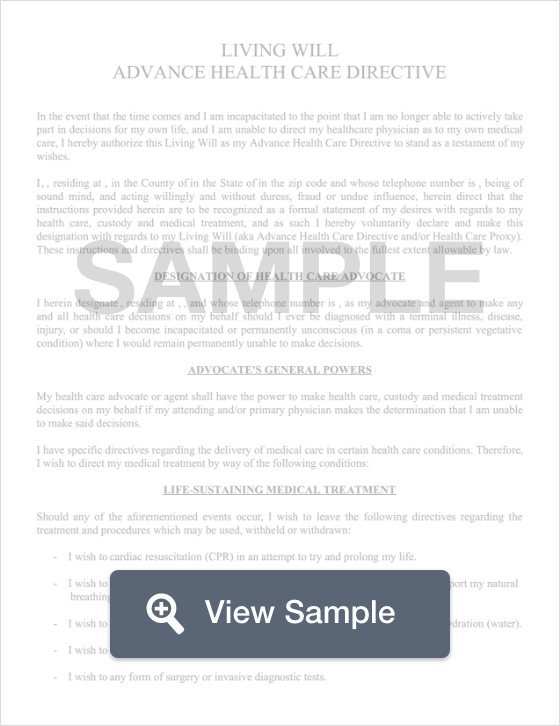 Its first purpose is to document your medical care wishes in the event that you are no longer able to voice your decisions. The second purpose is to name your healthcare agent. Your healthcare agent makes decisions on your behalf when you are unable to do so. A Wisconsin living will must be signed in front of two witnesses. § 154: Wisconsin allows for the use of a living will to document your wishes as related to end of life care when you are no longer able to make your own decisions. In addition to naming someone to help ensure your decisions are honored, you can also use the form to notate whether you’d like to donate your organs or your entire body. You should also create a Wisconsin last will and testament to continue to express your final wishes.